Place a piece of salmon skin-side down on a foil. Season fish with salt, pepper, lemon and herbs spices. Put a small piece of butter (about 1/4 of tbsp) on each salmon piece and wrap it in foil. Make an envelope and leave one side open. Pour sweet white wine and close the end of the envelope. Martini Bianco is a perfect choice for this recipe. Add 12 ounces of water into the Inner Pot. Place the Steamer Basket and fill it with baby potatoes.Season with salt and black pepper. Place the salmon on the top.Close the lid and turn the steam release handle to “Sealing” position.Select ("Pressure Cook") program and set Mode Indicator to “More”. Adjust time to 3 minutes. When time is up, make a quick release. When the lid comes off, take the fish out and set it aside. Place the broccoli and bell pepper on top of baby potatoes.Close the lid and turn the steam release handle to “Sealing” position.Select ("Pressure Cook") program and set Mode Indicator to “More”. Adjust time to 1 minutes. When time is up, make a quick release. Serve Instant Pot Salmon and vegetables while it is hot. After making a lot of meat and side dishes in Instant Pot, it's a high time to make a fish. The recommended choice is a Salmon. Instant Pot will help you make it amazingly easy and fast. All in all, it takes only 30 minutes from start to finish including 4 minutes of pressure cooking. It is simple to make it but there is an important information to remember. You have to add liquid (in our case sweet white wine - Martini Blanco) and keep an eye on the watch. 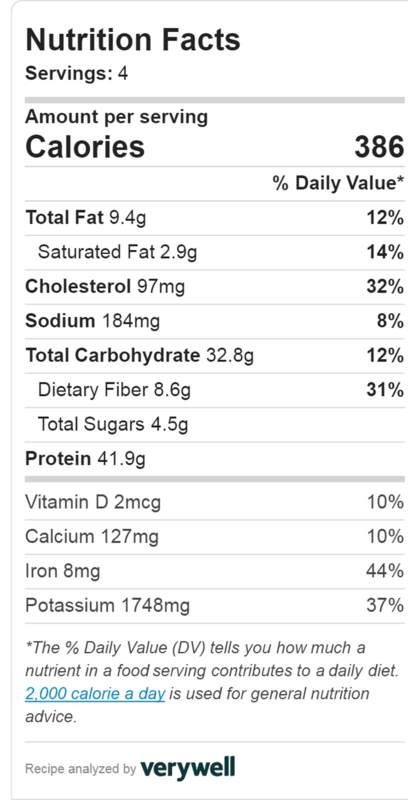 If you don't have enough liquid and the liquid is just water, the Instant Pot Salmon will turn out too dry and tasteless. If you cook it for too long, it will look like a rice pudding - shapeless and wobbly. 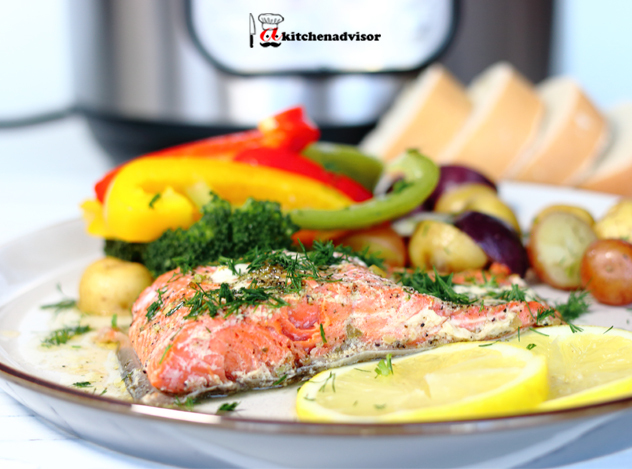 You can check Gordon Ramsay who makes perfect salmon but it is not a pressure cooking version, so it takes longer. Salmon goes well with broccoli, baby potatoes and other steamed vegetables. Above all, the best recipes for busy families is the motto of our website. Have no fear and start converting regular recipes to fast and delicious meals in Pressure Cooker. Make your choice based on the budget, number of family members, kitchen size and other relevant considerations. Now you know the secret of making a perfect Instant Pot Salmon and vegetables. The good thing about Instant Pot recipe is that it takes half of the regular recipe time but still you enjoy the flavor and taste of a delicious fish. Stay tuned as the list of our simple step by step recipes is updated frequently. Also we focus on the healthy recipes only. The pressure cooker recipes and ideas become more and more popular. No doubt, this exactly matches our strategy as well as our promise to our customers is "Best recipes for busy families". Certainly, all best recipes for busy families have been thoroughly tested by us. We only recommend recipes and kitchen appliances that we use and like. Finally, take a look at our unbiased review of Instant Pot. Enjoy your instapot recipes.